A Special Blaze is the result of the magical cross of mating our Congress Champion producing daughter of Zippo Pine Bar to Blazing Hot. 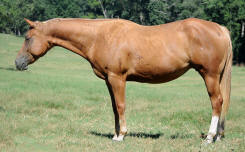 A Special Blaze is a full sister to Congress winner Blazing Sneakers and numerous other show horses. Special is truly Special. Her soft, cadenced jog and lope float across the ground. 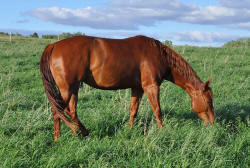 Her withers are positioned higher than her hip, allowing her to easily engage her hindquarters and elevate her shoulders. Special is known for her quiet, people loving disposition. Her foals consistently have great toplines, powerful hips, slow legs, height and tremendous trainability. My Vitals Are Hot - 2014 bay gelding by VS Flatline - 2015 Congress Yearling Longe Line 8th place, Champion in both the open and non pro Longe Line at the NSBA Indiana Fall Futurity Classic and Minnesota Northwest Futurity Classic, Champion Open Halter Minnesota NW futurity Classic and Color Breed Congress. Southern Belle Breeders 8th place Longe Line, Color Breed Congress NSBA champion non pro Longe Line, Reserve in the Open. Dam of earners over $25,000. In foal to Lazy Loper for 2018. Notice Our Nvestment turns heads everywhere she goes and every time someone visits BJQH! Starlet is stunning. What makes her so tremendous is her correct build, sweet personality, fabulous movement, and brilliant color. Starlet was an answer to our prayers the year she was born and a reminder of God's goodness in a year that Shelli and I experienced great loss. People have asked to purchase her numerous times for significant money but we have chosen to keep her as part of the BJQH family due to her exceptional qualities. I tell Gianna she is her mare! 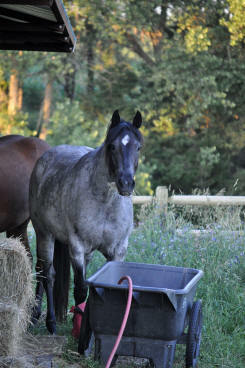 Starlet is 15 hands tall, is very stout, has straight legs that neither toe in or out, and is a gorgeous loper and jogger. Her forearm and hip carry powerful muscling. 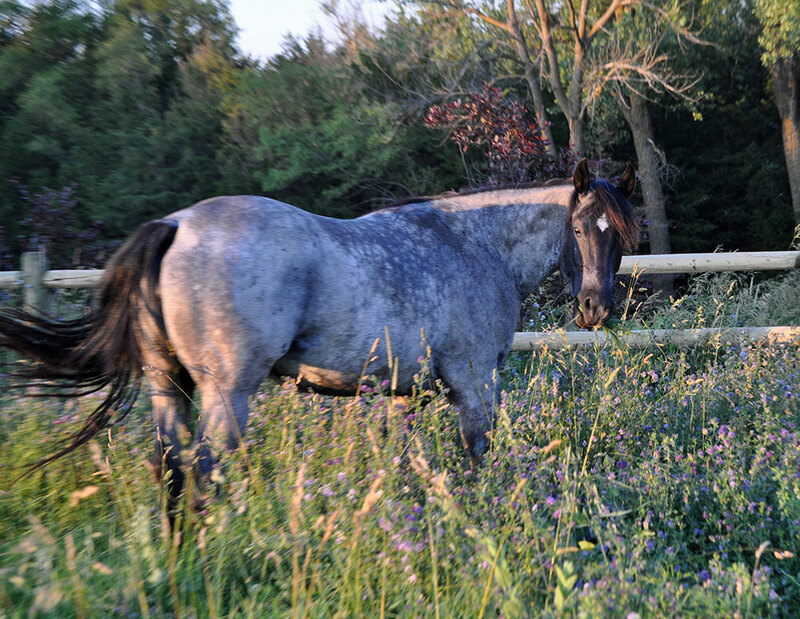 Starlet loves people and was born a "people horse." She lopes like a Dynamic Deluxe, with her withers up, head hanging out in front of her, and her hock buried deep underneath her. 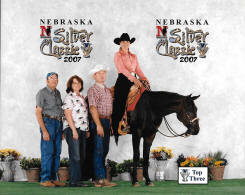 Notice our Nvestment is a full sister to International superstar Notice My Investment, and maternal sister to numerous outstanding show horses including Congress Top 10 Master's winner A Good Celebration and Reserve World Champion Amateur Elite Western Pleasure horse Customized Portfolio. 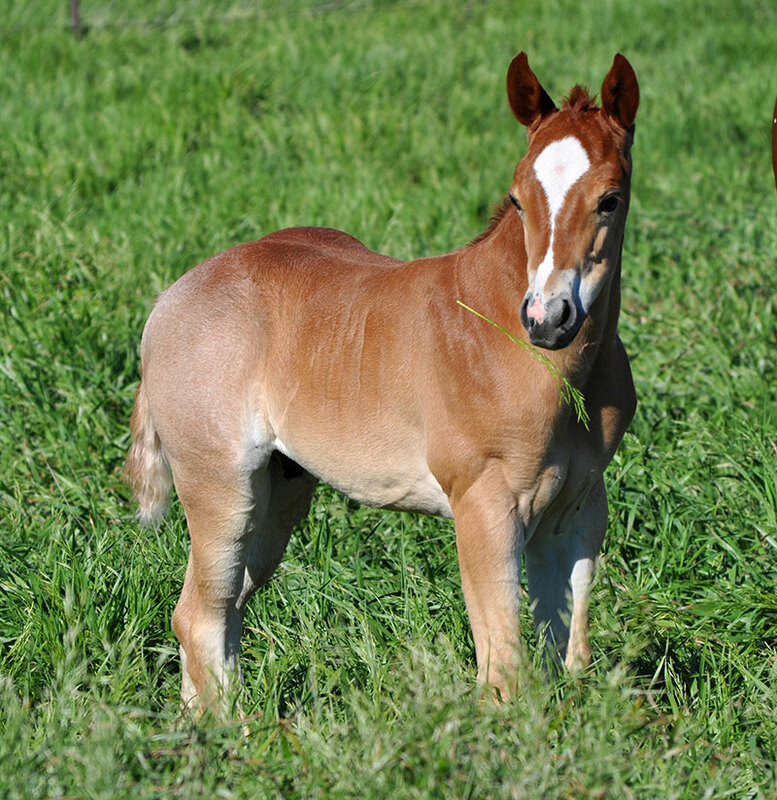 Starlet's first two foals of performance age are AQHA show winners! In foal to RL Best of Sudden for 2018. Chips Mystery is the prototypical daughter of Zips Chocolate Chip. She has a short back, gorgeous head and neck, and can jog on the coffee table! Chips Mystery's flat front leg and superb talent at the lope make her a very special package. 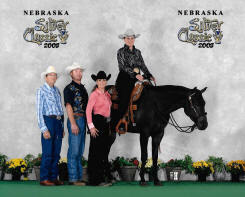 Hershey's dam was an outstanding show mare and is a complete outcross to the Zippo Pine Bar family. Additionally, she was a marvelous producer of show horses including 3 AQHA show horses, Regional Open Western Pleasure champion, a PHBA World Champion, and the dam of 3163 PHBA points and counting! 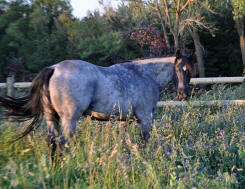 Chips Mystery stamps her foals with beauty, intelligence, and world class movement. 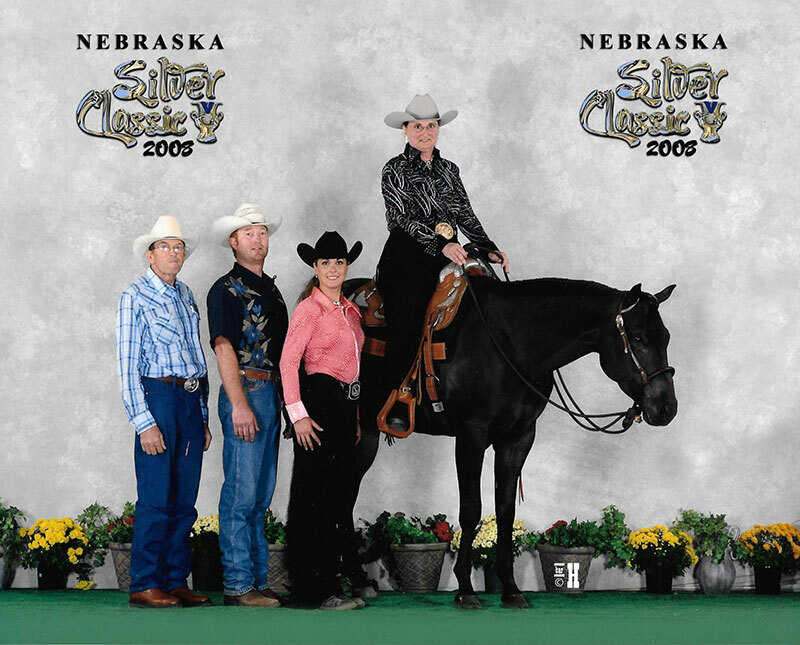 The dam of 6 foals, Chips Mystery has proven to be an outstanding producer of show horses including AQHA and NSBA money earners, an AQHA Champion, AQHA point earners in western pleasure, performance halter, and trail, and is a color breed Reserve World Champion producer. In foal to RL Best of Sudden and The Rock for 2018. Don't Skip Glory is by AQHA leading broodmare sire Don't Skip Zip and out of the great mare Best Too Invest. Glory is 15'3 hands tall, stands on legs that are plumb and correctly angled, and has a money gait so talented only few could out lope her. Her throatlatch and neck are trim and tidy and her withers are tall. She owns one of the sweetest dispositions ever to be given to a mare. We purchased her back from Cooper Quarter Horses as she has the disposition necessary to be around our young children and the talent level to produce Congress winners. Glory is off to a great start proving herself as a broodmare, as her only foal to date is an AQHA western pleasure point earner and NSBA money earner. In foal to The Rock for 2018. Ima Pretty Version stands 15'3 hands and is a joy to be around. This sweet natured mare was easy to show and racked up 37 points in western pleasure with a short and budget conscious show career. Ima Pretty Version's trademark lope is tremendously deep, flat, and slow legged. Bonita's dam, Ima Pretty Can Do, is one of the best producing mares in all of the AQHA. 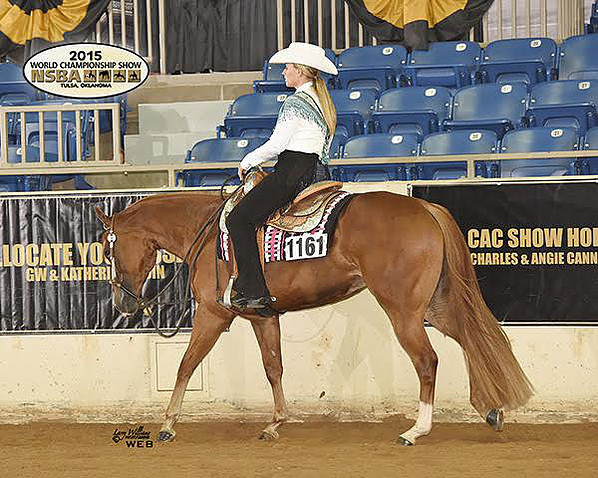 She is the dam of $17,215 in earnings, 2012 World Champion - Goods Can Do, 2011 AQHA high point winner-Duplicated Duke, multiple Congress top 10s, 13 ROM awards, 2-time Superior Western Pleasure producer, and foals earning 1481 AQHA points and counting! Ima Pretty Version's first foals, both fillies sired by VS Code Red, are nothing short of phenomenal. We expect Ima Pretty Version to produce World Show and Congress champions, following in the footsteps of her AQHA leading producing dam. Both foals have had size, great minds, and wicked movement. Ima Pretty Version is the dam of AQHA western pleasure and western riding show winner and Canadian National Champion western pleasure horse Ima Code Breaker! Ms Good Ruby's female production line is so strong that we have complete confidence that Ruby will establish an outstanding and extensive produce record quickly. Ruby is sired by AQHA legendary broodmare sire Zippos Mr Good Bar and out of the same female family that produced AQHA leading sire A Good Machine. Ruby is 15'2 hands and has tremendous substance. Her movement for western pleasure and her lead change are absolutely superb. Ms Good Ruby is unshown due to sustaining a career ending injury after putting her leg through a fence. 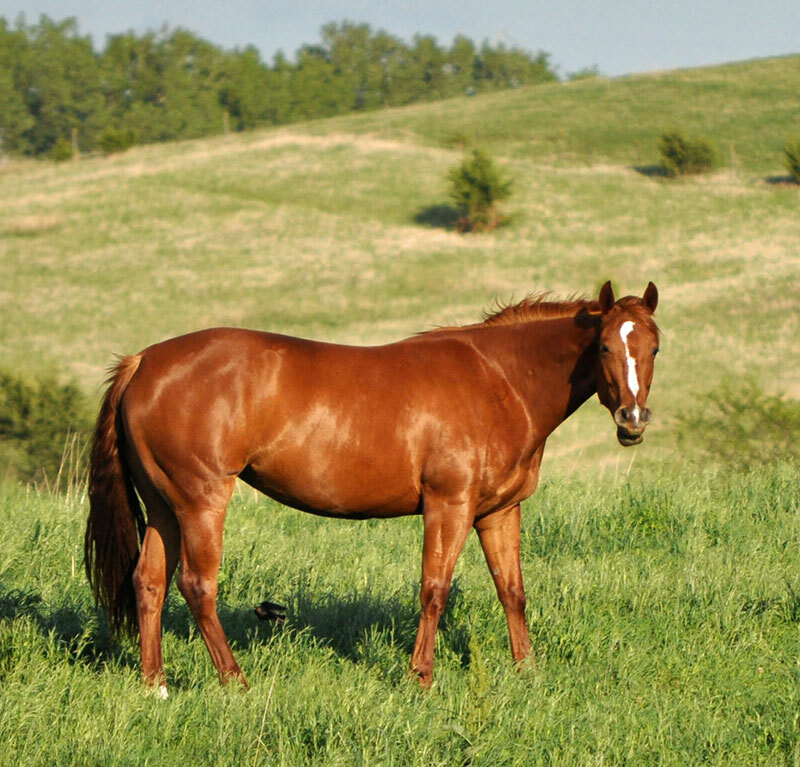 We are pleased to add this outstanding broodmare to our lineup. 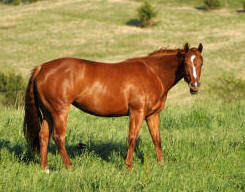 Her first foal, a colt by Lazy Loper, has the size, charisma, beauty, and slow legs necessary to make a great show horse. Im Pretty and Hot is a beautiful 15'1 hand bay daughter of 2 time world champion Blazing Hot. Im Pretty and Hot displays her sire's talented lead changing ability and her dam's pristine legs and beauty. We chose to keep Im Pretty and Hot in our broodmare band as she is the last daughter of all-time great producing mare - Ima Pretty Can Do. Hotsy's dam, Ima Pretty Can Do, is one of the best producing mares in all of the AQHA. She is the dam of $17,215 in earnings, 2012 World Champion - Goods Can Do, 2011 AQHA high point winner -Duplicated Duke, multiple Congress top 10s, 13 ROM awards, 2-time Superior Western Pleasure producer, and foals earning 1481 AQHA points and counting! Im Pretty and Hot's first foal, a colt by Zippos Mr Good Bar, has a movement that is soft, cadenced, and cocky! He will wow judges with his cadence and rhythm. He is quiet minded and talented. See for yourself by watching his video here. 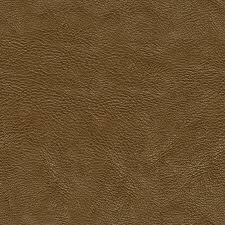 CustomizedandNvested is sired by Custom Investment by The Big Investment. Her dam is a granddaughter of Two Eyed Jack representing the same female family as RL Best of Sudden. This beautiful mare is the best minded horse I have ever had the privilege of training, riding, and showing. Cash is 15 hands tall and is tremendously deep bodied. This mare demonstrates superior flat kneed movement and incredible lift at both the jog and lope. 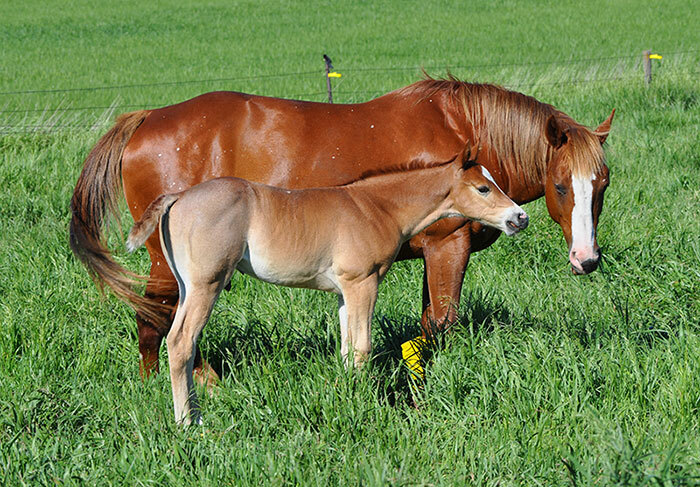 Cash is known for passing on her outstanding temperament and show ring presence to her foals. 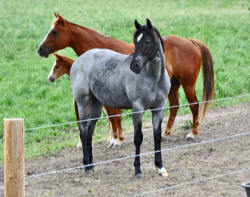 CustomizedandNvested has proven to be an outstanding producer of show horses including the APHA Reserve World Champion Amateur Elite Western Pleasure, Congress Masters 2 yr old Western Pleasure top 10, AQHA Regional Top Ten awards, International high point winner, AQHA point earners, and NSBA money earners. After an illustrious broodmare career, Cash has retired from broodmare status and been promoted to family show and trail horse extraordinaire.